Athletes that are at the top of their field always attain success and glory. The status of the greatest is always debatable; we have that in football between Jerry Rice and Tom Brady, in soccer between Ronaldo and Messi, and in basketball between Jordan and LeBron. But, this is not the case in martial arts. 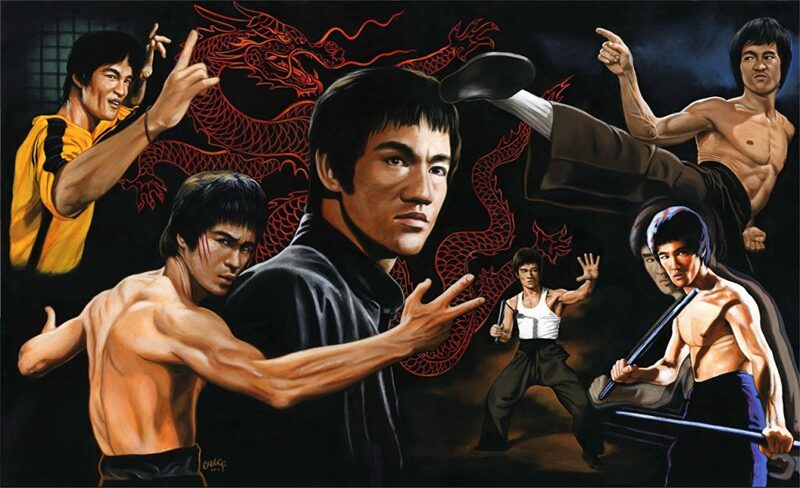 There is a public consensus that greatest martial artist to ever do it was Bruce Lee. He has an almost mythical status and no one even came close to his level. So, what exactly is it that made him so incredibly good? Let’s take a look at the Bruce Lee workout routine. To many people, Bruce represents an absolute peak in athleticism and physical performance. His incredible physique and an absolutely shredded body weren’t built for show. His body actually was built to perform. Every muscle toned to perfection in order to allow him to do all sorts of crazy stuff that no one since was able to replicate with such success. Arguably, he was the strongest pound for pound man on the planet. So, how did he manage to train his body to such a perfection? Bruce Lee had a certain philosophy when it comes to training. This philosophy was centered on function, rather than form. While other martial artists of his age trained with weights, trying to put on more muscle mass, he trained to get speed and power, not mass. He was looking for that explosive power stemming from the fast twitch muscle fibers and his ability to control his movements. His training methods were slightly different than what you’d expect from an ordinary martial artist or a bodybuilder. His training philosophy can best be summed up like this; train your body in such a way that if you want to do something you envisioned, you can. That’s the true definition of function over form and his skills proved that this training philosophy results in complete control of the body and its motion. This last one may sound a bit odd in terms of practicing cardio, but Bruce Lee figured out that true endurance in martial arts doesn’t depend on how much you can run from your opponents. He figured that true stamina lies in the ability to fight your opponents, for hours if necessary. The cardiovascular system is the backbone of your power and precision and what’s the point of being able to kick really hard if you can do it only once or twice before getting tired? Bruce Lee was one of the first martial artists who implemented this type of workout into his training regime. Heavy bag work is the perfect example. He would go hard on the bag, using punches and kicks for two minutes, and have a minute of rest in between. This method is used by all martial artists today and many bodybuilders as well. It is something that produces great results in terms of power output and recovery time. For his workouts, the Dragon used a different way of structuring and developing muscles. While many of us increase the challenge of an exercise by increasing weight or the number of repetitions, he increased the speed. He pioneered speed training and you can’t really dispute the effectiveness of his methods. These days, cross fitters use this method and it still shows great results in terms of building muscle functionality. Here is the brilliance of Bruce Lee; he studied body mechanics a lot and concluded that the body can’t tell the difference between resistance and acceleration. Force needed to overcome both is the same, and it requires fast twitch muscle fibers. But training to develop less force that can be delivered very fast is way more effective than training to develop immense force delivered slowly. So, you get better results but also suffer less muscle damage while training. In order to combine stability with his power, Bruce often did isometric training. Holding a certain position at the moment of the greatest resistance builds strength and contributes to stability when the body finishes the motion. He figured that there is no point in throwing a fast kick if the inertia of it makes you fall afterward. Bruce Lee could often be seen holding his leg steady above the head after throwing a kick for minutes on end. Also, he did the same with push-ups where he would randomly stop in the middle of a push-up and hold the position for minutes. More so, he went to such extremes and tried to squat a fixed shoulder bar, pushing on it for as long as he could. He believed these exercises gave him the stability under strain, and you can hardly argue the logic behind it. 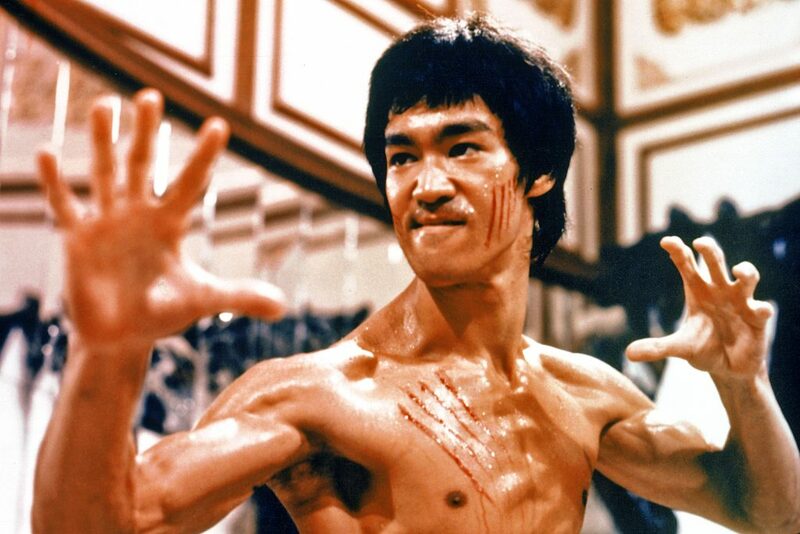 There is no doubt that Bruce Lee is one of the pioneers of martial arts and bodybuilding training. He was diligent, persistent, absolutely dedicated. His training philosophy allowed him to achieve an incredible physique that was highly functional, enabling him to do things not many people weren’t able to replicate since. A true warrior and an incredible athlete. The Dragon.